Welcome to the secure section of POCUS.org! Applying online? 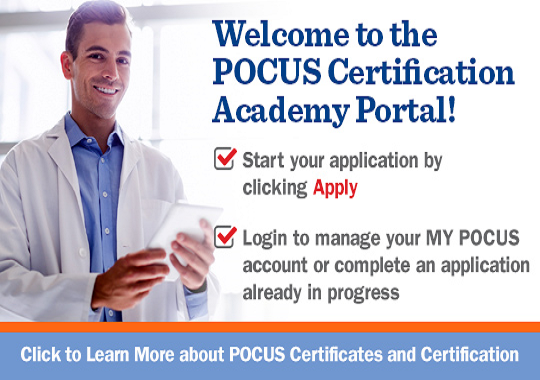 Login using your existing POCUS Certification Academy™ credentials or start your application by visiting the 'Apply Now' button. If you have any questions please reach out at POCUS@APCA.org.